Who has the best Premium Economy – Virgin Atlantic or BA? 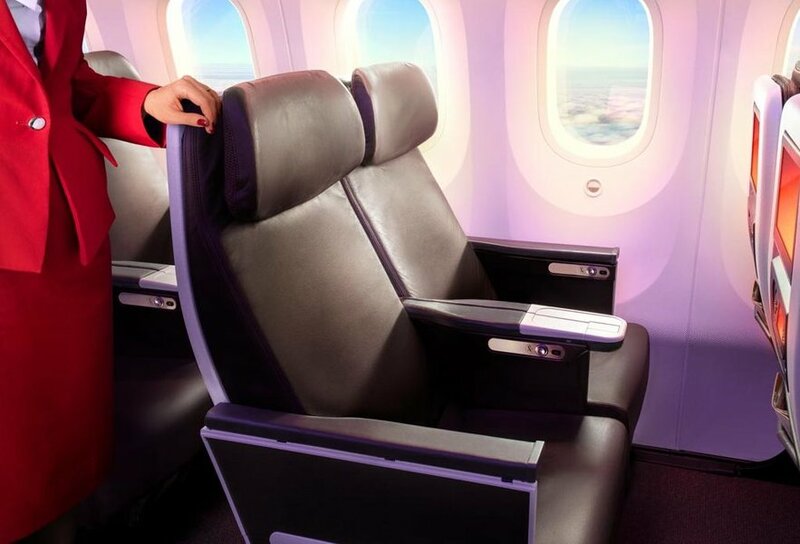 Who has the best premium economy product – Virgin Atlantic or British Airways? 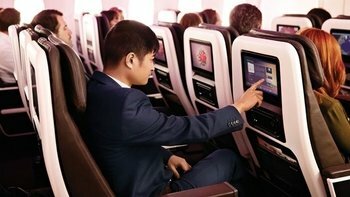 Virgin Atlantic sent me a press release last week to promote winning the TripAdvisor Travellers Choice Award for ‘Best European Premium Economy Product 2018’. For this and two other reasons, I thought it was worth taking a quick look at how Premium Economy compares between British Airways and Virgin Atlantic. We will be publishing the results of our ‘which Premium Economy cabin would you prefer to fly’ competition in a few days, so I thought it would be good to see how hard facts match up with your perceptions. It is also relevant because one of the features of the new Virgin Atlantic credit cards is the option to take a voucher for a free Premium (Virgin’s new name for Premium Economy) upgrade when you hit the spending target. The voucher can upgrade 2 x one-way flights for a couple or a return flight for one person. But is Virgin Premium any good? Let’s face it. Premium Economy is not a half-way house between Economy and a Business Class bed. It is simply a higher quality Economy product. This comparison between BA and Virgin is only for guidance, especially as the exact specification will vary by aircraft type. In general, though, the Virgin Atlantic Premium product seems to have more going for it. Neither product offers features such as lounge access but there are touches which set Virgin apart. Here is a comparison of some key areas. This is primarily taken from the Premium page of the Virgin Atlantic website and the World Traveller Plus page of the British Airways website. What is interesting is that, with the possible exception of the main course of your meal, Virgin Atlantic has a superior or equal Premium Economy product in all areas. The most obvious difference is the extra seat width but there are many other small benefits, such as Priority Check-In, which add up. Using your annual Virgin Atlantic credit card voucher for a Premium upgrade is not necessarily a bad result. You can learn more about Premium on Virgin Atlantic here and World Traveller Plus on the British Airways website here. I always thought that WTP boarded at the same time as the Bronze/Ruby members with BA, even before the new groups? That is my boarding experience, when flying in WTP we board with BA bronze. I’ve done this a few time exINV returning to EDI to minimise costs and get low net CW awards when considering avios earned. It is also possible to change dates for £150 plus £35 for UUA change. Not as good as a simpke reward ticket but better than a nonrefundable cheap business ticket if flexibility is important. Agree with this as we only now book a cash PE ticket to bounce up to CW. At 20k avios per ticket it feels like a decent bargain, better still is CW to F of course! I think everyone is forgetting that the experience really depends on the crew. On my recent Virgin PE trip from HKG the crew were truly awful. They forgot welcome drink. Had to ask 4 times, then again forgot to do a drinks round with a meal. Also the food was served semi-cold… Equally I had almost the same bad experience in BA PE two months ago. I also had great flights with BA and Virgin. Virgin has separate toilets too for PE. I think I saw a dedicated toilet on BA once, but was used by economy passengers all the time. Seeing as there’s a lot of catering talk then my wife and I took Thai AirAsia from DMK this morning and my wife consumed the chicken rice and I opted for my usual basil fried chicken on rice. Absolute lush and cheap as chips. BA could learn a lot from a fellow LCC. The food on Air Asia is both good and cheap, its part of my booking routine with them to always pre order some food. Much better eating on the flight and getting off content and then head off to hotel. I am currently in Florida, having flown out on a TUI 787-9 in Premium Club. The seat pitch is also 38 inches, you can choose seat at time of booking, the screen size probably the same with a lesser choice of movies ( I watched 3 Billboards and Battle of the sexes, excellent and good respectively). Staff- exceptional, plentiful, numerous, not at all stuffy, humour very much in evidence on the pa announcements as well, and brilliant with the young children on board. TUI was £320 no bag in economy, £520 in Premium Club with 1x23kg bag. The saving is so huge and the product so much better that miles and tier points become irrelevant( speaking as someone who holds both BA and VS cards, but has no worthwhile status in either. Similarly – I flew Thomas Cook Airlines to the US last year and was blown away by the product and friendly staff. If you live outside of London there are now many good options that are not virgin/ba. 35″ pitch no good if you are tall. We were flying to and from Barbados and the return flight was delayed for 2 hours with no explanation – there were no Tui staff and no announcements as to what was going on. On the way out the inflight entertainment was stopped 40 mins before landing so we could see Tui adverts so only managed to watch 2 and a half billboards! +1. Made a similar trip at Easter and had pretty much the same experience. Pleasantly surprised as I rarely fly charter. Flew with them once to Phuket – I’m just going to say this, the demographic was shocking. Rowdy. It was also relatively expensive at about £1250 return. I wouldn’t repeat the experience. I thought the hard product inferior to VS.. Lounge access is good – but if you have PP it amounts to the same thing. TUI and Thomas Cook are often the choice for package holiday makers especially those looking for bargains outside of London especially, the only thing is that the flight times are often rubbish as in arriving back at 2am or leaving at 7am meaning your losing a lot of sleep time and convenience, I would rather leave at a reasonable time and pay more. They also seem very popular with Stag/Hen weekends which does mean that they are often some rowdy characters around, so when flying BA CE it is usually a lot more peaceful. Will the outcome of the ‘which Premium Economy cabin would you prefer to fly’ competition have a caveat that many would have picked to try something different from BA? It was why I picked mine. OT, I am unable to see all my current bookings in the BAEC home page (I can see the first 3 out of 7). I phoned BA who said it is an Apple browser (Safari) problem. I downloaded Chrome and get the same result (clicking on the view all my bookings link takes me to an unavailable page error message). Logging in to wife’s account produces the same problem. Is anyone else having issues? Yes , its been an issue for three weeks or so..
One shortcut to your other bookings without using the ‘Find My Booking’ tab on the home page, is to click ‘Manage My Booking” for the first booking on your list and then click ‘My Other Bookings’ next to the Booking Reference at the top left hand side of the page. Not ideal, but it will save a little time. OT. With changes to Avios, Is there any point having Iberia points? They have many lower cost avios fare such as MAD to MIA plus their business seats is very good. Arguably better than BA and for less money ( positing flights excepted ) makes the red headed step child a very good option up against a clunky old 777 with a screen the size of your mobile phone. Oh and their wine list is excellent. ….and they have printed menus. To some of us these little things still count ???? I actually prefer BA over VS. I find the recline on VS is pants. I think that the 787/A380 WTP product is decent enough, especially for a day flight, and I’m happy to pay a premium of about £10/flight-hour over economy. This is often achievable if you can get a dual-inventory fare, or on a return leg. Being able to upgrade is a big plus as well. I’d still pick Virgin all things being equal, but it’ll come down to whose flying what routes, and I think I’d also push a Silver or higher with no status on VS towards BA when you throw in fast track and lounge access. I am probably in the minority where I actually prefer PE to CW on BA. Aside from similar food, I have a very strong dislike of the CW hard product. I just find the seat too awkward. Even if they were the same price, I’d sooner sit in PE than CW when travelling with someone. VA PE also has a pantry. But on BA most WTP passengers take stuff from the Club World ‘Raid the Larder’! Really? I’ve never dared venture to the other side of the CW curtain. Thought it was forbidden.